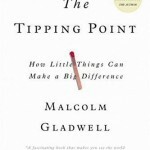 I expressed some of my concerns about Malcolm Gladwell’s writing in my review of The Tipping Point. This included his analysis of the 10,000 hours rule (which is almost certainly wrong) which features in this book. It was still an interesting read however. 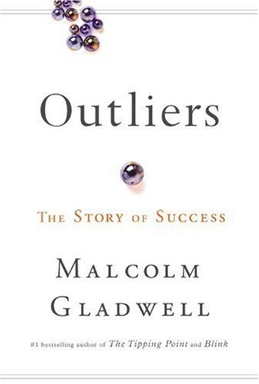 Outliers: The Story of Success looks both at some of the most successful people, but also how we think of success. He begins by talking about the Matthew effect. This is where sports have cut off date, say 1 January, and so kids born in January are competing against kids almost a year younger than them (kids born in December). The result is that kids in January look better, thus are put in a higher ability stream, get extra coaching and thus become world-class athletes. According to the research Gladwell points to, this has a huge effect. Almost all sports stars are born in the first three months and almost none after September. When there is ability setting in school, September births outperform August births by a big margin too. He then goes on to talk about the 10,000 hours rule, and finally goes on to talk about success is a result of opportunity. Take Bill Gates for example. At 13 years old, his high school got access to a computer system and so by the time he got to founding Microsoft in 1975 he had done more programming than basically anyone else in the world at his age. This is where the book makes a great point. Gladwell uses the term opportunity, which is a combination of luck and privilege. Bill Gates worked incredibly hard, but he also had an opportunity that almost nobody else in the world had in that he spent his childhood, from 1968-1975, programming. He is an excellent storyteller. I had the same kind of epiphany that I had when reading Michael Lewis’s Boomerang. They are both such good storytellers that they a) write excellent books and b) make us less critical because of it. In summary, Outliers is a very engaging book, but that does not make it true. Gladwell is known for over-simplifying problems and he does it equally frequently in this book. If the message you take away is that success is more a product of opportunity than being a meritocracy of hard-work though, the book has probably been of some benefit. As a final footnote, I had the audiobook edition and one of the things I found quite annoying was what happens with quotes. Gladwell reads it himself and goes into quotes without changing his voice or indicating it. So he will read something out and then say something like “says John Smith” and then you have to try and backtrack to where the quote starts from. This entry was posted on Tuesday, December 2nd, 2014 at 10:51 am and is filed under Books. You can follow any responses to this entry through the RSS 2.0 feed. Both comments and pings are currently closed.